In the evening, the billabong comes alive. Like a pub or a bar, a billabong ticks along during the day, but at night it sparkles with song, chatter and a host of characters. A billabong is a waterhole in Australia. Its a special kind of waterhole, dug by a river that has since ceased to flow and is now filled only with rain. They are known as oxbow lakes overseas, but in arid Australia they are such a critical feature that they rate their own special name*. Many Aussie animals need billabongs to survive. Water can be scarce, and a visit to a waterhole in the evening provides sweet relief after a hot day. 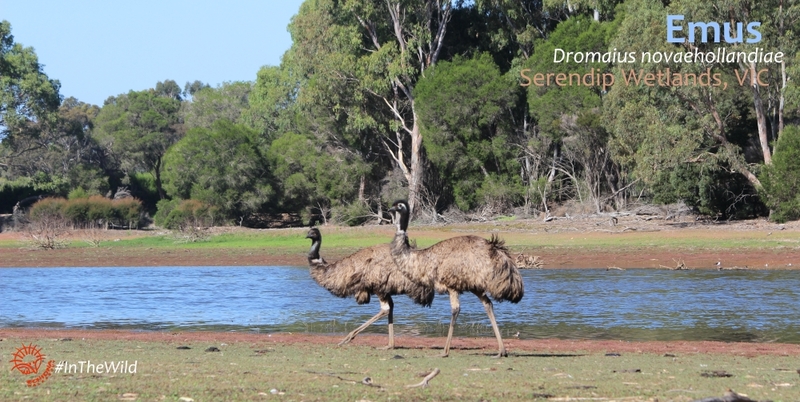 Emus walk the open plains and woodland during the day, seeming impervious to the hot sun and dry air. Then, as evening approaches, they all make their way to the Billabong Bar. 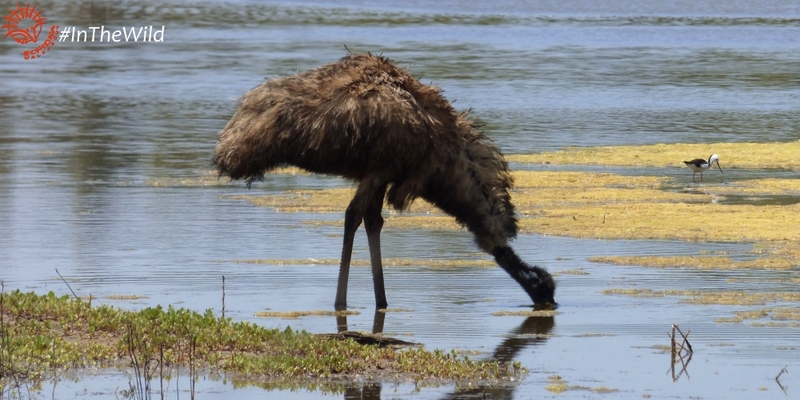 On first reaching the Billabong Bar, each emu will walk for a bit in the water. They look like an elegant elderly lady at the beach, long legs stepping cautiously, skirts hitched up, bliss on her face. Then they will all have a drink, and a nibble at the evening billabong. Just like people at the bar after work, its a chance to catch up with friends after a long hard day. Unlike most pubs, the Billabong Bar has a bath. 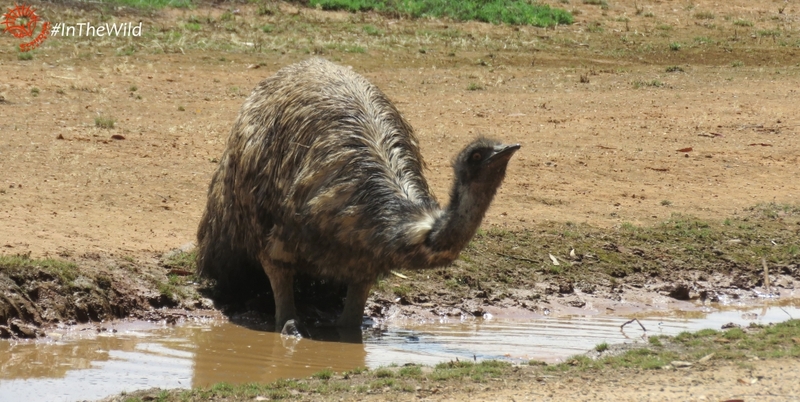 Emus are not shy about having a bath in public. If you visit at the right time, you might get to watch them! 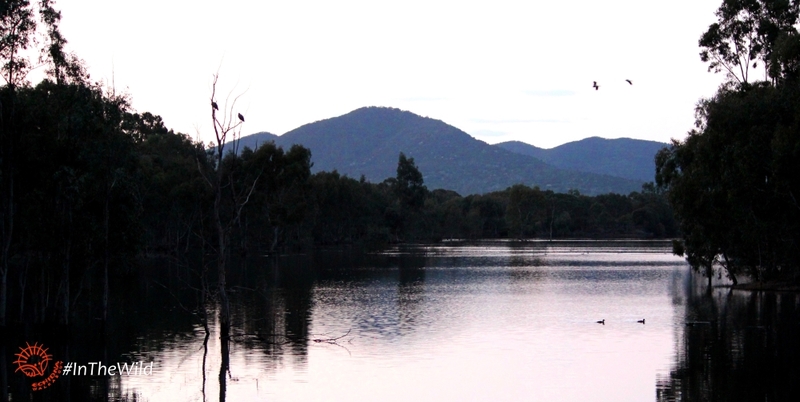 A visit to the evening Billabong Bar is a magical part of every Sunset Koalas & Kangaroos IN THE WILD tour. Read about the other animals that become active in the evening. 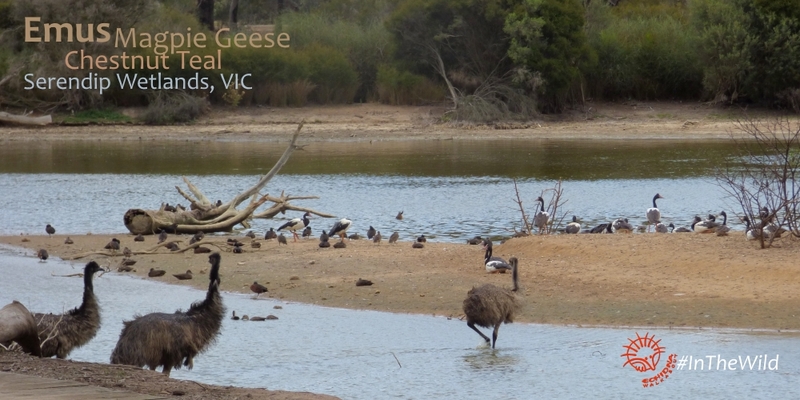 Read more about emus in The Outback here. 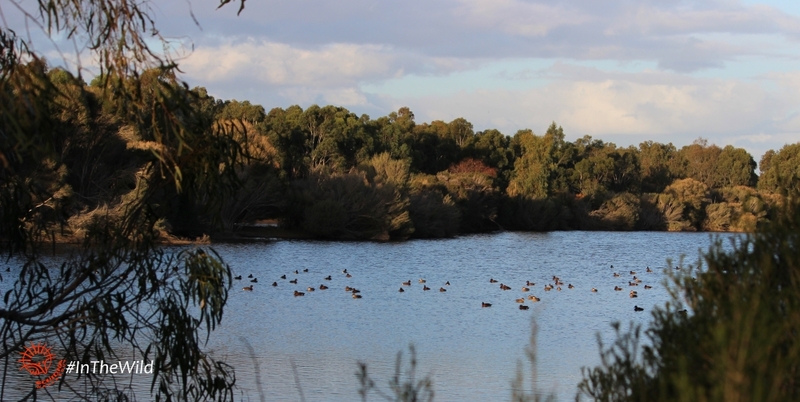 * Billabong is a Wiradjuri Aboriginal word, meaning dead river.